NLM Teo, worked closely with the Buildings office in this project. 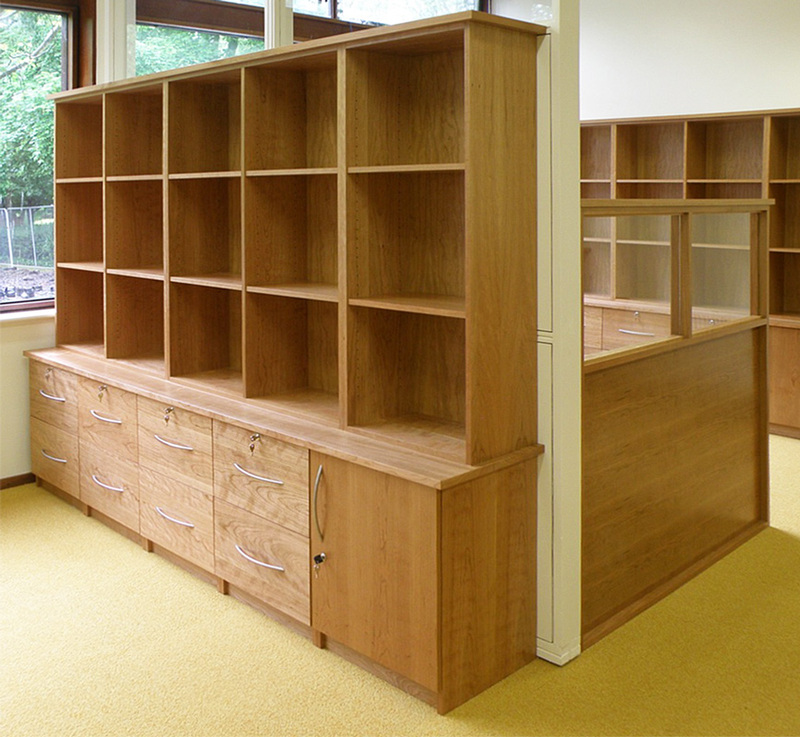 NLM Teo, designed manufactured and installed desks, pedestals, file drawer units, book shelf units, pigeon hole units. NLM Teo also designed, manufactured and installed the reception counter, incorporating wheel chair access in one end. NLM Teo supplied samples of wood finishes to the end users, to assist them in choosing design and colour to suit their needs. All furniture was finished in cherry wood. NLM Teo met all requirements set by NUIG, for this project. Ensuring it was wheelchair accessible, ensuring the correct amount of pigeon holes units and file drawer units where installed. NLM Teo involved the end users in the design process and ensured their requirements where met. To see more of our work, please visit our Gallery.